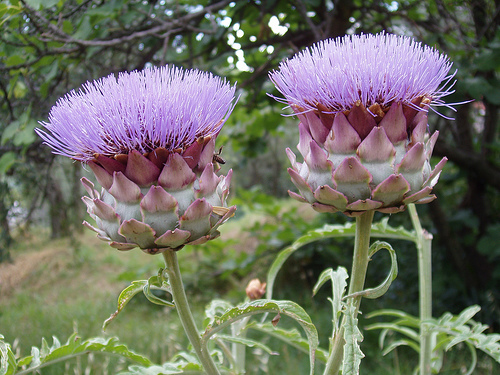 The globe artichoke (Cynara cardunculus var. scolymus) is a variety of a species of thistle cultivated as a food. The edible matter is buds that form within the flower heads before the flowers come into bloom. The buds go away or change to a coarse, barely edible form when the flower blooms. The uncultivated or wild variety of the species is called a cardoon. It is a perennial plant native to the Mediterranean region. 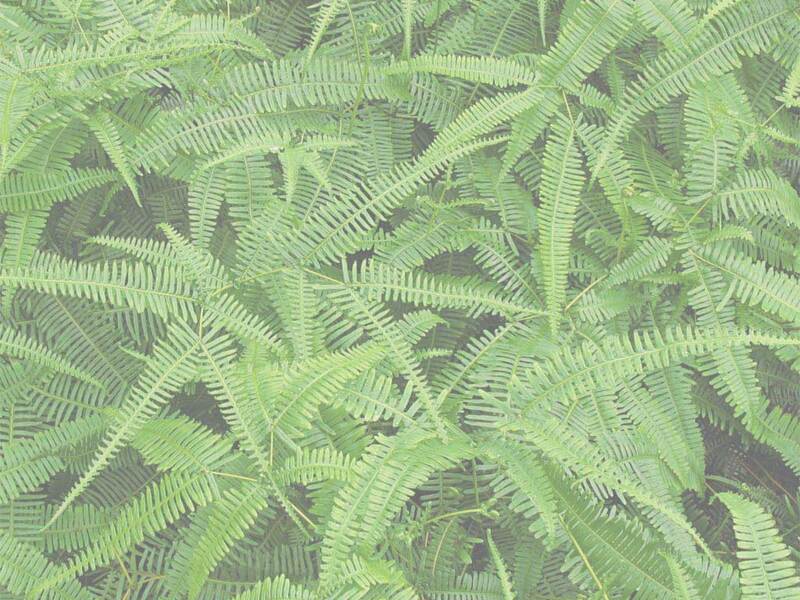 It grows to 1.4-2 m (4.6-6.6 ft) tall, with arching, deeply lobed, silvery, glaucous-green leaves 50-82 cm (20-32 in) long. The flowers develop in a large head from an edible bud about 8-15 cm (3.1-5.9 in) diameter with numerous triangular scales; the individual florets are purple. The edible portions of the buds consist primarily of the fleshy lower portions of the involucral bracts and the base, known as the "heart"; the mass of immature florets in the center of the bud is called the "choke" or beard. These are inedible in older, larger flowers. Farm fresh grower-direct flowers from following varieties: bouvardia, godetia, campanula, cotton, craspedia, anemone, echinops, gerbera, celosia, globularia, rose spray, roses small head, matthiola, roses, anigozanthos, calla, paeonia, prothea, curcuma, gladiolus, achillea, gerbera mini, banksia, roses tea, gerbera standard, asclepias, limonium, strelitzia, lilium, narcissus, statice, eustoma, crocosmia, green bell, moluccella, gomphrena, ixia, eremurus, dianthus, antirrhinum, aconitum, freesia, solidago, astilbe, ozothamnus, sunflower, capsicum, leucospermum, ornithogalum, alstroemeria, gypso, agapanthus, phlox, aster, veronica, carthamus, trachelium, chrysanthemum, tulip, delphinium, hippeastrum, grevillea, iris, kangaroo paw, lisianthus, matricaria, wax flower, gypsophila, liatris, tanacetum, kniphofia, ranunculus, desert yearning, etc. Fresh cut foliage of the following varieties: euphorbia, adenanthos, fern, ruscus, prunus, pittosporum, salix, cycas, bear grass, aralia, steel grass, myrica, acacia, eucalyptus, cyperus, croton, palm, myrtus, hibiscus, murraya, cotton, monstera, grevillea, cocculus, myrsine, hypericum, melaleuca, euonymus, agonis, leucadendron, rotem, philodendron, hedera, artichoke, chondropetalum, rhamnus, asparagus, aspidistra, photinia, kochia, viburnum, cyrtomium, etc. Fresh herbs and lettuce salads from leading Israeli growers: arugula baby, lemongrass, basil, peppermint, baby spring mix lettuce, arugula deluxe, basil green, oregano, chervil, mint, coriander, arugula, tarragon, romaine lettuce, parsley flat, chives, rucola, lemon grass, red chard, sorrel, sage, salicornia, tatsoi, savory, marjoram, thyme, baby mix salad, dill, mizuna, basil red, rucola baby, rosemary, lemon balm, spinach, rucola deluxe, marjoram sweet, parsley curly, bulls blood, lollo rosso lettuce, etc. Used as spices and seasoning herbs herb in recipes of healthy food cooking. All year long best price fresh herb and salad wholesaler supplies. Our produce can be delivered worldwide by air cargo carriers to the following international destinations: Croatia, Japan, Chile, Holland, Estonia, Sweden, Thailand, CIS countries, Kyrgyzstan, Colombia, Taiwan, Norway, Brazil, Poland, Vietnam, India, Monaco, United States, Finland, USA, Cyprus, Bosnia, Uruguay, New Zealand, Peru, Andorra, Azerbaijan, Singapore, Kazakhstan, Italy, Ukraine, Hungary, Uzbekistan, Ukraine, Nicaragua, Australia, Paraguay, Kazakhstan, Portugal, Turkey, Canada, Hong Kong, Armenia, Denmark, Lithuania, Gibraltar, Macedonia, Mexico, Panama, United Kingdom, Liechtenstein, Ecuador, Moldova, Bulgaria, Czech Republic, Iceland, South Korea, Republic of Ireland, Bolivia, Belarus, Argentina, Greece, France, Austria, Tajikistan, Germany, Malaysia, Venezuela, South Africa, Turkmenistan, Slovakia, Slovenia, Russia, Costa Rica, Malta, UK, Luxembourg, Sri Lanka, China, Philippines, Laos, Netherlands, Belarus, Belgium, Switzerland, Indonesia, Latvia, Romania, Georgia, Spain, etc.